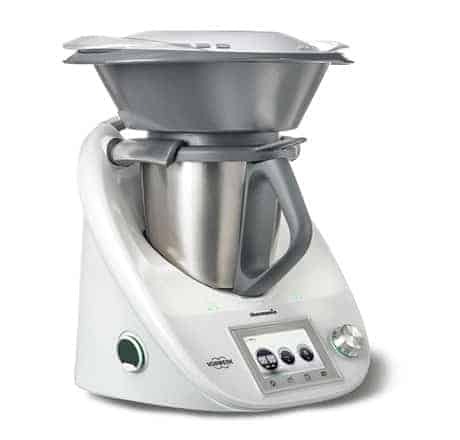 The product of more than 40 years of German design and innovation, Thermomix ® . Thermomix ® from Vorwerk is a unique all-in-one kitchen appliance that will enhance the way you cook by helping to unlock your full culinary potential while saving you time and effort. Its compact design takes up only slightly more surface area on the worktop than an A4-sized sheet of paper, yet packs enormous power, versatility and innovation, while taking on numerous jobs for you in the kitchen. 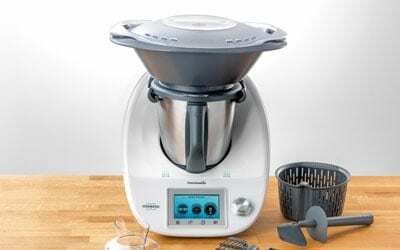 Explore Thermomix ® now. Intelligently designed to combine precision engineering with simple and intuitive functionality, Thermomix ® is packed with innovative features to enhance your cooking experience and make your kitchen easier to work in and more productive. The new Thermomix ® brings the kitchen into the digital age with a beautiful colour touchscreen display. You can follow on screen recipe instructions by using the smart Recipe Chip and the Guided Cooking function. Discover what makes Thermomix ® so unique. 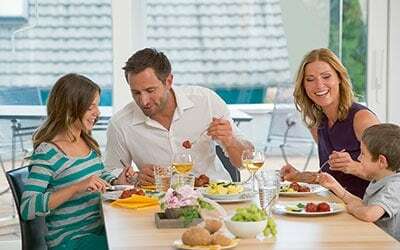 Thermomix ® saves you time and can help get dinner ready in minutes. It can also save you money, declutter your kitchen and improve your lifestyle. Explore the benefits of owning a Thermomix ® today. Don’t just take our word for it! Read to the stories of countless Thermomix ® users worldwide on how Thermomix ® have helped them immeasurably. From stay-home parents to professional chefs, their stories will inspire the way you see cooking. Truly, this is the future of cooking!